It may seem as though every time you open a newspaper there’s another story about the sky falling in on the property market. But what’s actually happening? We’ve all seen the news. Auction clearance rates are down, property prices are dipping, loans are becoming harder to source. So, why are house prices falling? We’ve seen housing prices over the last few years rise significantly, especially in the larger capital cities of Sydney and Melbourne. But like any cycle, things don’t move upwards forever. Add in things like increased regulations, banks being far more cautious about who they lend money to and a significant drop in foreign investment, and it’s not all that surprising that property prices have flattened out. 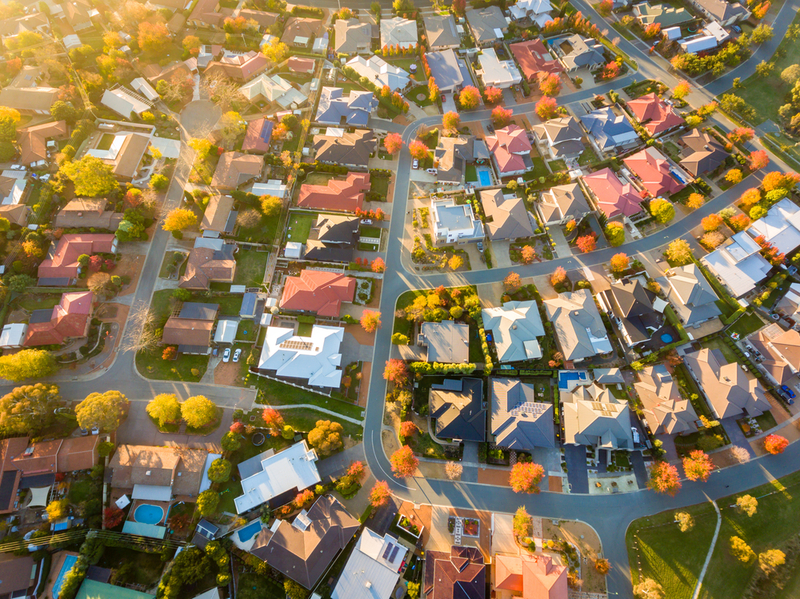 The Domain Group’s House Price Report for September 2018 indicates that Canberra has bucked the ‘falling property price’ trend with median house prices actually rising by 4 percent over the past year. Canberra Unit prices however, fell by 4 per cent over the same period. Canberra median house prices have increased year-on-year for the last 6 years but with no change to Canberra’s median house price over the September 2018 Quarter, it might be an indication the local market is slowing. Canberra’s quarterly growth figures hold up pretty well against the rest of the nation though, with almost every other Australian city reporting a decline. Whilst data may suggest things are slowing, we’re still seeing plenty of buying (and selling) activity going on in Canberra – with the majority of clients happy with the prices they’re getting. Similarly, agents we’re speaking to are echoing these sentiments. If you’re thinking about buying property soon, let us know and we can help assess your lending options. Because if you want to take advantage any buying opportunity that arises, you’ll want to have your finances ready.